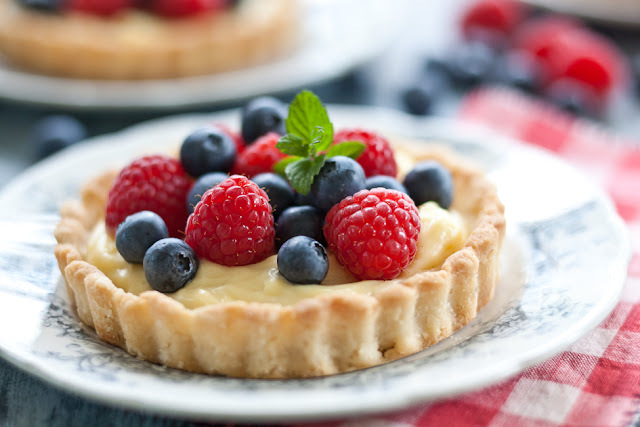 Red, White, and Blueberry Tarts – Vanilla Cream Recipe – Happy 4th of July! I love the 4th of July! I love it when I’m home and I love it when I’m away. Sometimes when you are not too familiar with the tradition of the area, it makes the holiday a bit of a surprise and all the more special. 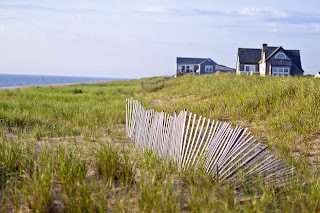 That’s what happened when we spent the holiday in Nantucket. Familiar, yet different….in a good way! For this post, I’d like to take you there with us…I hope that you enjoy the journey! 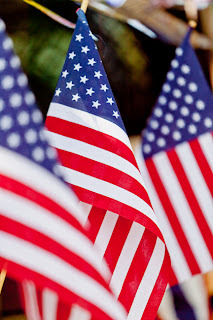 No matter where you are in the country for the 4th, there are some things that are constants. 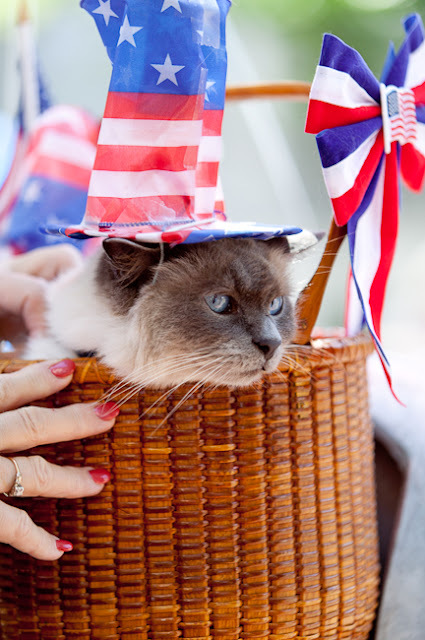 Flags, of course, parades, picnics, and if you’re lucky…fireworks. But Nantucket has it’s own special charm…the grey shingled cottages enclosed by pickets fences heavy with fragrant roses. Sea mist creeping over the dunes and sails disappearing in fog. We arrived in town and were greeted by flags, children, and a patriotic kitty! That day we had great picnic fare, but for dessert we had these wonderful little tarts! I have tried to reproduce their buttery, creamy, juiciness here using a tart recipe I’m in love with that I found on this post from David Lebovitz’s tres wonderful blog. He adapted this recipe from Paule Caillat of Promanades Gourmandes. This recipe is not for the faint of heart (transporting a scorching hot bowl of hissing butter from oven to counter is a bit daunting) but the results and ease were worth it! As you can see, I made 4 tarts instead of 1 larger one, but, of course, you could make a larger one, if you prefer. I added this filling and topped it with fresh fruit (you could add whipped cream if you really want to be decadent). We have to wait a few years till the 4th of July is on a Sunday again, but I just couldn’t resist posting this today because I know some of you will be celebrating the holiday with your family and friends this Sunday and perhaps traveling back home tomorrow. If you like, add whipped cream for a richer treat. Be very careful when you separate the eggs making sure that you really do use just the yolk and not the whites. Keep the whites and perhaps use them for a nice egg white omelet the next day. Place the yolks in a medium saucepan, add the sugar and cornstarch and whisk them together until the mixture has thickened. In a separate medium saucepan over low heat, add the milk and warm till it is steaming and almost boiling then remove from heat. Start whisking the egg mixture and slowly drizzling about 1/2 cup of the milk into it, you want to warm the eggs very slowly so that they don't start to cook. Then, continue to whisk egg/milk mixture while you slowly add the rest of the milk. Now put the combined mixture back on the stove over medium heat while whisking constantly, slowly bringing it to a boil. When the mixture reaches a boil, continue stirring for about another minute till it is nice and thick and remove from heat. Please note: If it starts to lump up, remove from heat and whisk frantically...this will remove the lumps. Let mixture rest for about 5 minutes or so and whisk the butter into it. Transfer this into a bowl, place plastic wrap on the surface of the cream (so that it does not produce a "skin") and refrigerate until you want to assemble the tarts. It is just fine if you would like to make this a day ahead. When you assemble the tarts, remove the cream from the refrigerator and give it a few whisks. 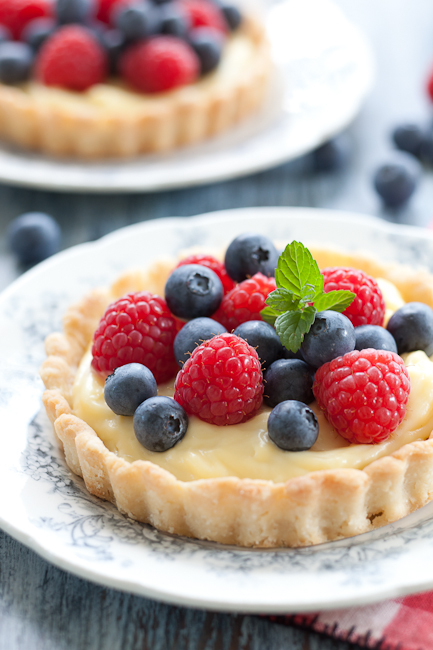 Place your cooled tarts on plates, spoon in vanilla cream and top with fresh berries of your choice. I used blueberries and raspberries, but other fruit would be delicious too. Beautiful and refreshing tarts! Happy 4th of July!!! I hope you're having a great great day!!! I much prefer informative articles like this to that high brow ltireaurte. Looks beautiful. I bet it tastes extremely wonderful!